Meet fabulous Frankie. He is a 9 month old Lurcher/Shepherd cross. He is a really super dog who gets on well with other dogs and he loves children. 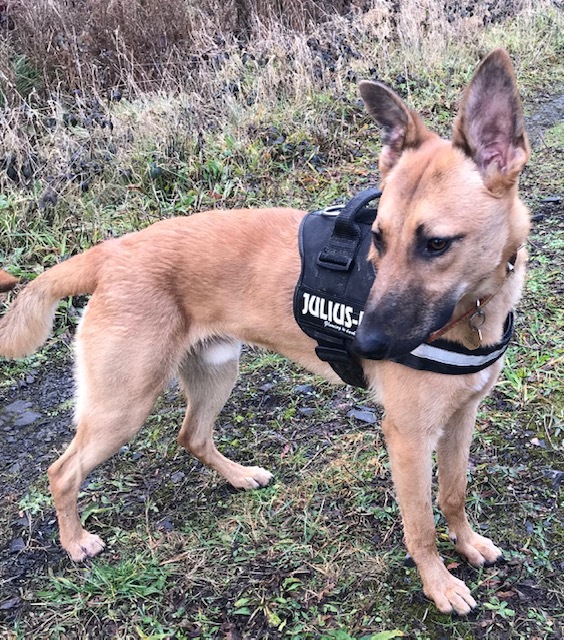 He is a lively and intelligent dog who loves his walks and will need to go to a home where he gets lots of walking …he will suit an active family who love the outdoors and will be happy to take Frankie out at least twice every day. It would be ideal if there is a good sized garden where his family could do some ball work with him. Frankie would probably also enjoy some nose work or agility work too. He is house trained and is fond of his home comforts such as a nice soft couch or a bed by the fire. He is living In a foster home if you would like to meet him with a view to adoption. We ask for a minimum adoption fee of €150 to partly offset veterinary expenses, a licence and collar tag are required to complete the adoption, and a home visit applies. He is neutered, chipped and vaccinated. If you would like to express an interest in Frankie please email kwwspca@gmail.com or contact 0871279835.